A treasured Senneh from the Bidjar region, this rug is one of the finest examples of Kilim format weaves, crafted by Kurdish people. 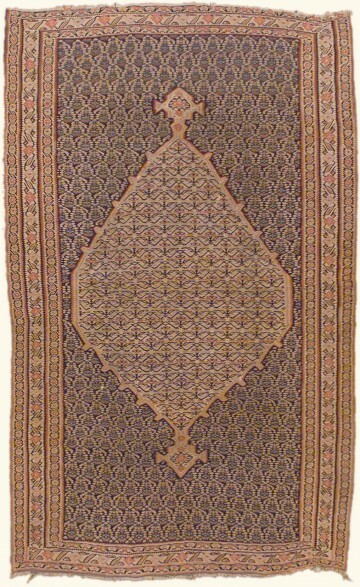 The rug’s three-dimensional medallion rests on a field of boteh and floral forms in a soft palette of colors, finely-woven in a weft-faced tapestry technique with wool on wool warps. 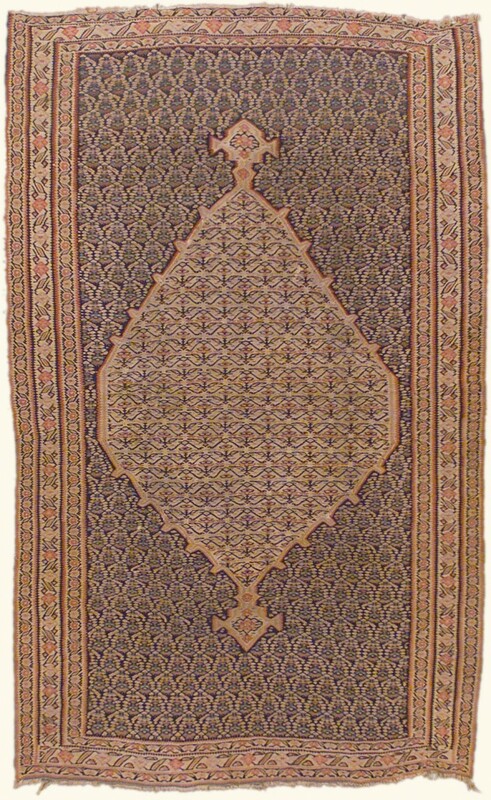 Imagine this antique Senneh adorning a wall or as part of the bedroom décor in your home.